Think about how you access your internet today. WiMAX or Worldwide Interoperability of Microwaves Access is a wireless internet service designed to cover wide geographical areas serving a large number of users at a low cost. A Transmitter- A tower that can provide coverage to a very large area. 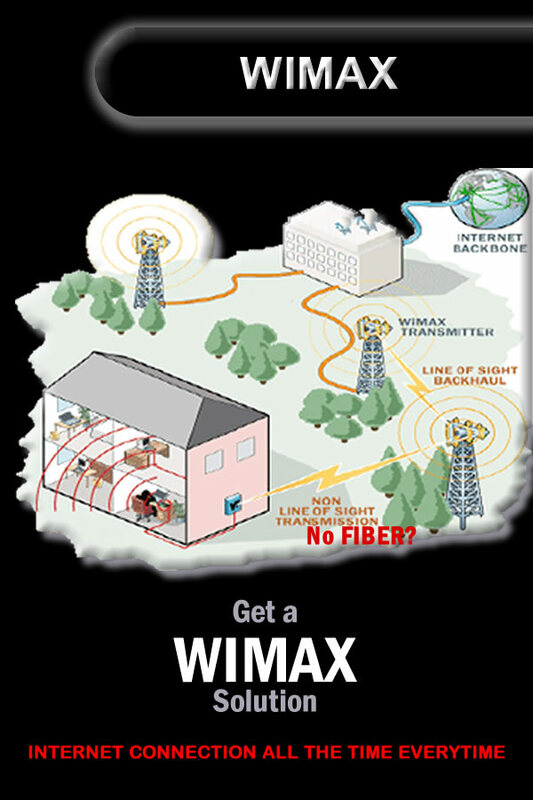 Wimax uses microwave radio technology to connect computers to the internet in place of wired connections such as DSL cables. It works very much like the cellphone technology in that reasonable proximity to a base station is required to establish a data link to the internet. The biggest difference does not speed, its distance. WiMAX out distances wi-fi by miles. WiMAX ain’t competing for other, its wireless cable replacement technology which competes with wired operators. WiMAX is used mostly in industrial applications.